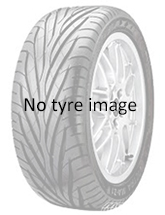 Specially designed for the driving enthusiasts who wants increased durability, better support and more precision when driving in both dry and wet weather, Toyo Proxes T1 Sport are ultra high performance summer tyres that work best with high performance coupes, sports cars and modern saloons. Of course, these summer tyres are not intended for icy winter days or for near-freezing temperatures. 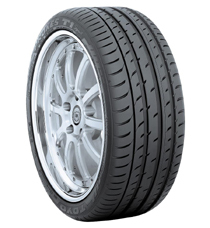 Here are some of the features that make the Toyo Proxes T1 Sport tyres unique: - Wider outside tread: this makes these modern tyres to offer better cornering performance. - Wide profile design: thanks to this characteristic, the tyres have an improved contact pressure distribution for increased braking performance and better cornering. - Wide interior grooves for preventing hydroplaning and enhancing braking performance. With a flawless wet handling and a near-perfect dry handling potential, the Toyo Proxes T1 Sport features state-of-the-art design complemented by cornering power and high-speed stability for precise steering response, increased fuel efficiency and quick braking.